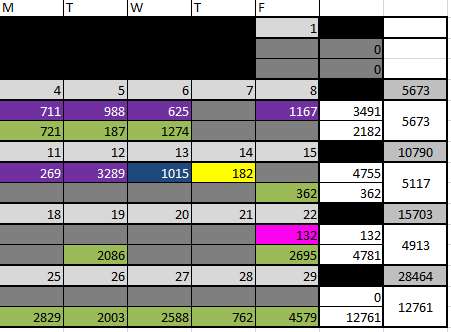 With the exception of the final week, you can see my writing was quite… nonexistent. I’d like to blame that on the fact my nose was stuck in revision pages… but I don’t have a lot to show for that either. Books Revised: 1 I was hoping to get 4 books revised, but three of them turned out to be such messes, I’m still slogging through them.